It’s been several months since I’ve worked on my film noir multimedia web comic, Murder is Suicide. In revisiting the project, I’ve been working on expanding the first chapter and adding more narrative and exposition and milieu. 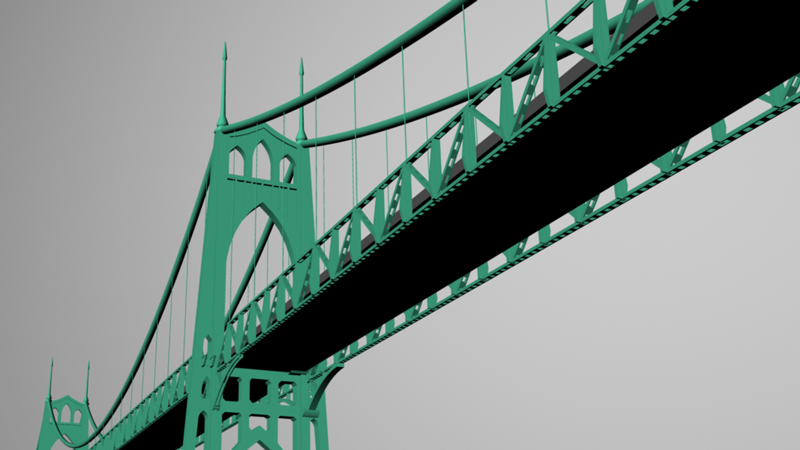 In this vein, I worked on my 3D model of the St. Johns Bridge a bit more than I previously had in order to be able to use it for Murder is Suicide as intended. My original intention for the setting of Murder is Suicide was an anonymous city, but as I drove around Portland, I realized that it was the perfect setting. It has such an interesting history and many of its iconic structures existed in the 1930s, such as the St. Johns Bridge, the Paramount Theatre, et al. 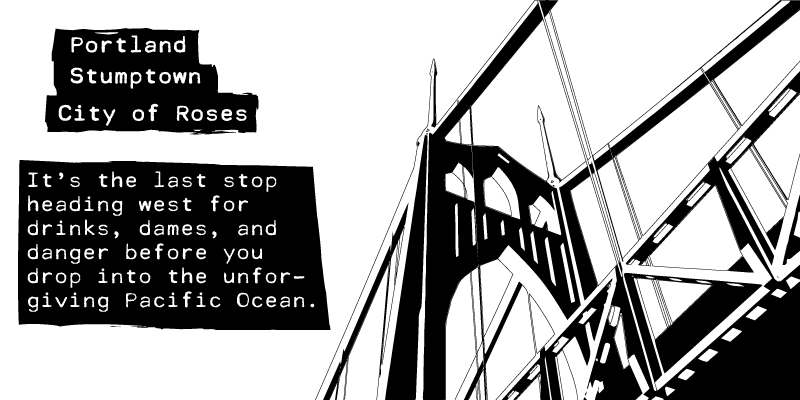 As a part of this recent expansion effort, I’ve started the story by introducing Portland as the setting via a shot of the St. Johns Bridge.